Noren, D.P., Budge, S.M., Iverson, SJ, Goebel, ME, Costa, DP, and Williams TM. (in press) Fatty acid mobilization and reduction in water content of blubber from northern elephant seal (Mirounga angustirostris) pups during the postweaning fast. J. Comp Physiol. Iverson, S.J., Piche, J. and Blanchard, W. (2011) Hawaiian monk seals and their prey. Assessing characteristics of prey species fatty acid signatures and consequences for estimating monk seal diets using quantitative fatty acid signature analysis. NOAA Technical Memorandum NMFS-PIFSC-23, March 2011 (http://www.pifsc.noaa.gov). 137 pp. Iverson, S. J., Springer, A. M. and Bodkin, J. (2007) Strategies for survival: marine mammals. pp 114-135 in Spies, R. (ed.) 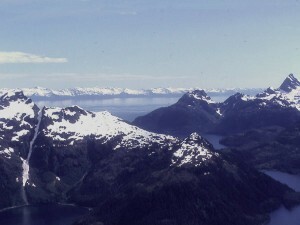 Long-term Ecological Change in the Northern Gulf of Alaska. Elsevier Press, Amsterdam. Springer, A.M., Iverson, S.J. and Bodkin, J. (2007) Long-term Change: marine mammal populations. pp 352-378 in Spies, R. (ed.) 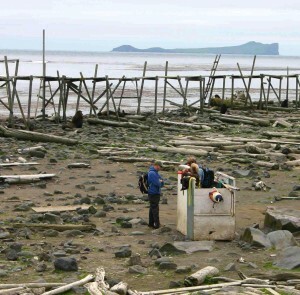 Long-term Ecological Change in the Northern Gulf of Alaska. Elsevier Press, Amsterdam. Iverson, S.J. (2002) Blubber. pp. 107-112 in Perrin , W.F., Wursig , B. and Thewissen , H.G.M. (eds.) Encyclopedia of Marine Mammals. Academic Press, San Diego. Boness, D. J., Bowen, W. D. and Iverson, S. J. (1995) Does male harassment of females contribute to reproductive synchrony in the grey seal by affecting maternal performance? Behavioral Ecology and Sociobiology 36: 1-10. Iverson, S.J. and Oftedal , O.T. (1995) Phylogenetic and ecological variation in the fatty acid composition of milks. pp 789-827 in Jensen, R.G. (ed.) The Handbook of Milk Composition. Academic Press, Inc., Orlando. Oftedal , O.T. and Iverson, S.J. (1995) Phylogenetic variation in the gross composition of milks. pp 749-789 in Jensen, R.G., Thompson, M.P. and Jenness , R. (eds.) The Handbook of Milk Composition. Academic Press, Inc., Orlando. Hamosh, M., Iverson, S. J., Kirk, C, K, and Hamosh, P. (1994) Milk lipids and neonatal fat digestion: relationship between fatty acid composition, endogenous and exogenous digestive enzymes and digestion of milk fat. World Rev. Nutr. Diet 75: 86-91. Iverson, S.J., Kirk, C.L. and Hamosh M. (1992) Digestion of milk fat in the newborn: in vitro studies greatly underestimate the in vivo extent of intragastric lipolysis . pp 401-407 in Picciano , M.F. and Walsh, M. (eds.) Mechanisms Regulating Lactation and Infant Nutrient Utilization. John Wiley & Sons, Inc., NY. Iverson, S.J., Oftedal , O.T. and Boness, D.J. 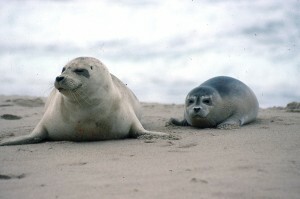 (1991) The effects of El Nino on pup development in the California sea lion ( Zalophus californianus ). 2. Milk intake. pp. 180-184 in Trillmich , F. and Ono, K.A. (eds.) 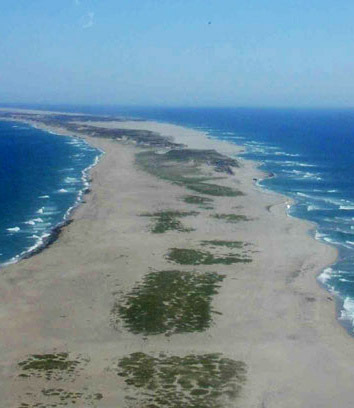 Ecological Studies: Pinnipeds and El Nino. Springer- Verlag , Berlin Heidelberg. Kirk, C. L., Iverson, S. J. and Hamosh, M. (1991) Lipase and pepsin activities in the stomach mucosa of the suckling dog. Biology of the Neonate 59:78-85. Oftedal , O.T. and Iverson, S.J. (1987) Hydrogen isotope methodology for measurement of milk intake and energetics of growth in suckling pinnipeds . pp. 67 – 96 in Huntley, A.C., Costa, D.P., Worthy, G.A.J. and Castellini , M.A. (eds.) Approaches to Marine Mammal Energetics . Society for Marine Mammalogy Special Publication No. 1. Allen Press, Lawrence, KS. Wang, S.W., Hollmen, T.E. and Iverson, S.J. (2009) Estimating diets of two species of threatened sea ducks, the Steller’s eider (Polysticta stelleri) and the spectacled eider (Somateria fischeri): validation of novel diet assessment techniques. North Pacific Research Board Final Report 724, 56 p.
Springer, A.M., Iverson S.J. and Kitaysky, A.S. (2008) Regime Forcing and Ecosystem Response in the Bering Sea (ReFER): Phase II. NPRB Project No. 320 Final Report. 160 pp. Springer, A.M., Ream, R.R. and Iverson, S.J. (2008) Seasonal foraging strategies and consequences for northern fur seals at colonies with opposite population trends – Year 2. North Pacific Research Board Final Report Project 514, 65 p.
Iverson, S.J. (2007) Milk composition and lactation strategies across mammalian taxa: implications for hand-rearing neonates. Proceedings of the Nutrition Advisory Group. Seventh Conference on Zoo and Wildlife Nutrition: 1-7. Iverson, S.J., Piche, J. and Blanchard, W. (2006) Hawaiian monk seals and their prey in the Northwestern Hawaiian Islands: assessing characteristics of prey species fatty acid signatures and consequences for estimating monk seal diets using quantitative fatty acid signature analysis (QFASA). NOAA/NMFS Report, Honolulu, HA. 146 pp. Banks, A., Iverson, S.J., Springer, A.M., Ream, R.R., Sterling, J. and Fadely, B. 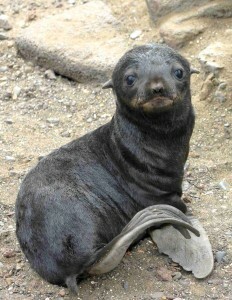 (2005) Consequences of Fur Seal Foraging Strategies (COFFS). North Pacific Research Board Final Project Report, 16 pp. Iverson, S. J. 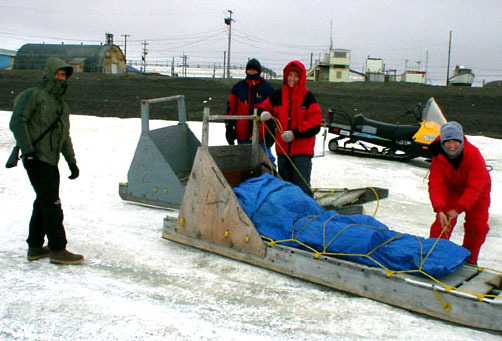 (2004) Fat as an ecological tool: bears and seals in temperate and arctic ecosystems. 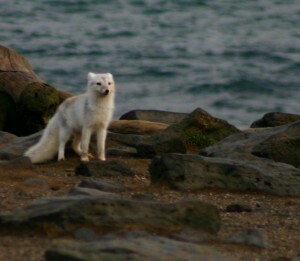 Meridian, the Canadian Polar Commission, pp. 6-10. Iverson, S. J., Stewart, B. S. and Yochem, P. K. (2003) Captive Validation and Calibration of Fatty Acid Signatures in Blubber as Indicators of Prey in Hawaiian Monk Seal Diet. NOAA Technical Report, San Diego, CA, 22 pp. Iverson, S. J. and Springer, A. M. (2002) Estimating Seabird Diets Using Fatty Acids: Protocol Development and Testing of ReFER Hypotheses. 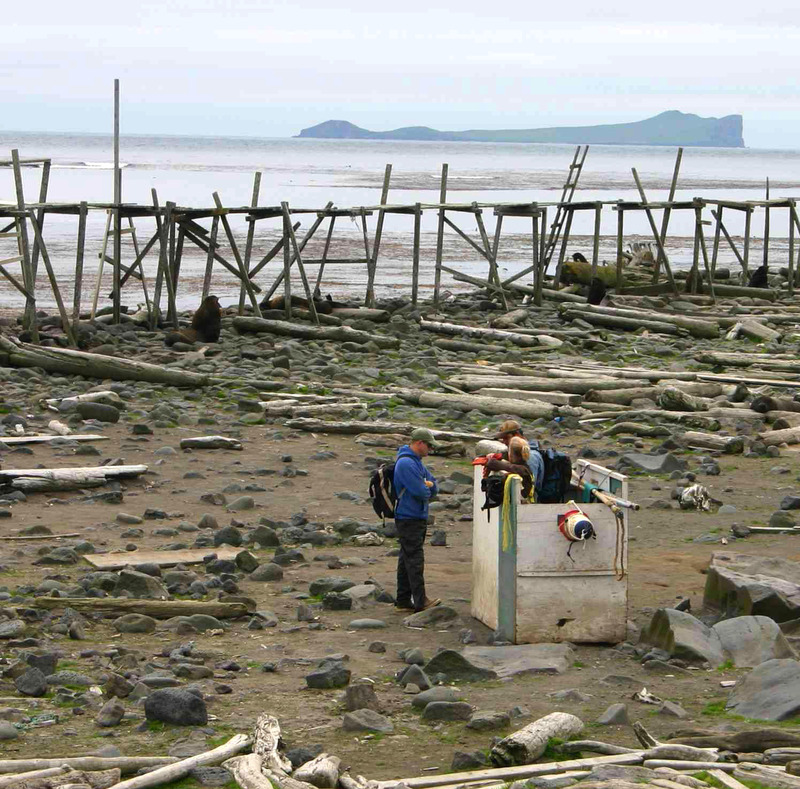 Report to the National Pacific Marine Research Program, University of Alaska, Fairbanks, 27 pp. Iverson, S.J. and Beck, C. A. (2002) Hawaiian monk seals and prey species in the Northwest Hawaiian Islands: Report on quantitative fatty acid signature analysis. NMFS, NOAA, Honolulu, Hawaii, April 2002. 150 pp. Iverson, S. J. (2000) Hawaiian monk seals and prey species in the Northwestern Hawaiian Islands: report on quantitative fatty acid signature analysis. NOAA technical report, Honolulu, HA. 90 pp. Iverson, S. J., Lang, S. L. C. and Thiemann, G. W. (2000) Hawaiian monk seals and prey species in the Northwestern Hawaiian Islands: addendum to the May 2000 report on quantitative fatty acid signature analyses. NOAA technical report, Honolulu, Hawaii. 50 pp. Iverson, S. J., K. J. Frost and S. Lang. (1999) The use of fatty acid signatures to investigate foraging ecology and food webs in Prince William Sound, Alaska: harbor seals and their prey. Pages 39-101 in Monitoring, habitat use, and trophic interactions of harbor seals in Prince William Sound, Alaska. Annual Report to the Exxon Valdez Oil Spill Trustee Council. Restoration Study 98064. Alaska Department of Fish and Game, Division of Wildlife Conservation, Fairbanks, AK. Springer, A., Baily, K., Bowen, W. D., Boyd, I., Estes, J., Iverson, S. J., and Piatt, J. (1999) Steller sea lion Feeding Ecology Workshop Review. Seattle, WA, Feb. 1999: 40 pp. Williams, T. M., Boness, D. J., Bowen, W. D., Boyd, I., Croll, D., Horning, M., Iverson, S. J., Calkins, D. and Didier, A. (1999) Steller sea lion Physiology Workshop Review. Seattle, WA, Feb. 1999: 34 pp. Iverson, S. J. 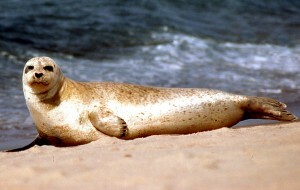 (1998) Results of fatty acid signature analyses of Hawaiian monk seals and potential prey species. NOAA technical report, Honolulu, HA. 45pp. Frost, K. A., Lowry, L. L., Ver Hoef, J. M., Iverson, S. J. and Gotthardt (1998) Monitoring, habitat use, and trophic interactions of harbor seals in Prince William Sound, Alaska. Exxon Valdez Oil Spill Restoration Project Annual Report (Restoration Study 97064), Fairbanks, Alaska, 149 pp. Iverson, S. J., Frost, K. A., Lang, S. Field, C. and Blanchard, W. (1998) The use of fatty acid signatures to investigate foraging ecology and food webs in Prince William Sound, Alaska: Harbour seals and their prey. Exxon Valdez Oil Spill Restoration Project Annual Report (Restoration Project 97064), Fairbanks, Alaska, Appendix A., 82 pp. Baker, J., Becker, P., Boveng, P., Frost, K., Iverson S., et. al. (1997) Harbor seal investigations in Alaska. Annual Report, NOAA Grant NA57FX0367, 291 pp. Frost, K. A., Lowry, L. L., Ver Hoef, J. M. and Iverson, S. J. (1997) Monitoring, habitat use, and trophic interactions of harbor seals in Prince William Sound, Alaska. Exxon Valdez Oil Spill Restoration Project Annual Report (Restoration Study 96064), Fairbanks, Alaska, 114 pp. Hammill, M. O., Kingsley, M. C. S., Lesage, V. and Iverson, S. J. 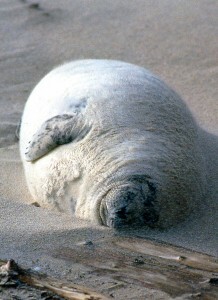 (1997) Assessing diet in beluga and harbour seals using stable isotopes and fatty acid composition of the blubber. Annual Report, Parks Canada. Frost, K. A., Lowry, L. L., Small, R. J. and Iverson, S. J. (1996) Monitoring, habitat use, and trophic interactions of harbor seals in Prince William Sound, Alaska. Exxon Valdez Oil Spill Restoration Project Annual Report (Restoration Project 95064), Fairbanks, Alaska, 87 pp. Iverson, S. J. and Frost, K. A. (1996) The use of fatty acid signatures to investigate foraging ecology and food webs in Prince William Sound, Alaska: Harbor seals and their prey. Exxon Valdez Oil Spill Restoration Project Annual Report (Restoration Project 95064), Fairbanks, Alaska, Appendix A., 44 pp. Ono, K. A., Boness, D. J., Oftedal, O. T. and Iverson, S. J. (1993) The effects of El Nino on mother-pup biology in the California sea lion. Recent Advances in California Islands Research: Proceedings of the Third California Islands Symposium. Hamosh, M., Iverson, S. J., Mehta, N. R., Spear, M. L. and Bitman, J. (1992) Lipids in human milk and their digestion by the newborn infant. in J. Ghisolfi and G. Putet, eds., Essential Fatty Acids and Infant Nutrition. John Libbey Eurotext, Paris. Boness, D. J., Oftedal, O. T., Ono, K. A. and Iverson, S. J. (1983) Maternal investment, lactation and pup development in the California sea lion on San Nicolas Island: some preliminary results. 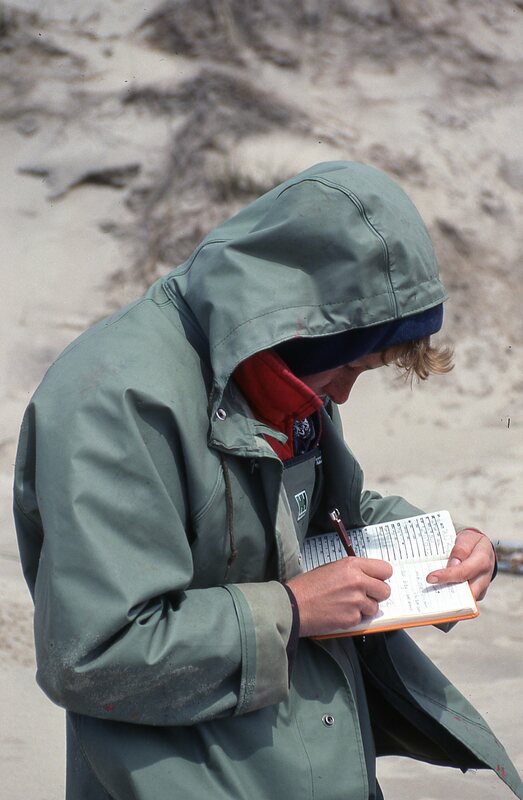 In Biennial Mugu Lagoon/ San Nicolas Island Ecological Research Symposium, 1983. Iverson, S. J. 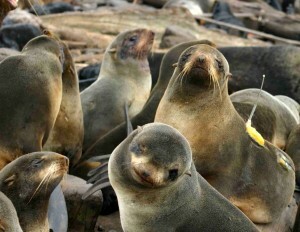 (1985) California sea lions: a report from the field. Zoogoer 14: 10-15. Iverson, S. J. (1982) Breeding white tigers. Zoogoer 11: 5-12.